Three years ago, Kraig and Brittany Vickers of Leary, Ga welcomed their first child, a son they named Evan. In the weeks and months leading up to his birth, the Vickers prepared for their baby to be born with multiple cognitive heart defects that would need surgery. They decided to deliver in Atlanta to be near a specialized children's hospital that could handle his instant heart failure and offer proper medical support. It was a long road, but after two consecutive open heart surgeries, endless tests and many weeks in the hospital, Evan was able to finally come home. Due to his heart issues, Evan was extremely delayed and struggled his first year of life. He couldn’t eat by mouth and was strictly fed by NG tube until he was 11 months. At that time, he had surgery to implant a gastronomy tube as a more permanent solution. He didn’t roll over, sit up, babble, crawl or walk like a normal child his age. He received early intervention services and was prescribed physical, occupational and speech therapy twice a week since birth. Evan worked hard and was growing strong and showing progress until a year and a half ago when a routine ultrasound monitoring a kidney issue showed a mass growing in his abdomen. The Vickers didn’t know until after it was removed that the mass was cancerous. The surgery was successful and Evan received no extra treatment following the tumor removal. At that point, Evan's cancer was Stage 1 and very low risk. Doctor's told the Vickers “not to worry” but sadly they were so very wrong. Three months following cancer surgery, Evan began running a low-grade fever and woke often during the night with extreme abdominal pain that was accompanied by an increasingly distended belly. They returned to Children's Healthcare of Atlanta Egelson and sadly the follow-up ultrasound showed a massive new tumor occupying 60% of his abdomen. Evan's cancer had come back, this time growing fast and furious. Chemotherapy was started immediately in hopes of reducing the size of the tumor as it was too dangerous to attempt removal. The tumor was wrapped around his heart veins, lymph nodes, etc. The tumor responded favorably and a resection was able to be performed between rounds 3 and 4 of chemo. He’s currently in month 14 of his treatment plan and in the immunotherapy phase. Every 21 days his body is infused with an antibody that targets & destroys the neuroblastoma cells. Unfortunately, the antibody can’t differentiate between the cancer cells and Evan’s healthy nerve fibers, so he’s in excruciating pain the entire 96 hours of infusion. Each treatment trip to Atlanta lasts about a week in total and Evan is placed inpatient to best manage his pain. Evan's intensive protocol has been a huge sacrifice for the Vickers, but this truly is his best chance of surviving cancer. Once completed, Evan will begin the “end of treatment” scans and maintenance protocol and the Vickers monthly travel to Atlanta will most likely stay the same for the forcible future. Regardless of every obstacle thrown his way, Evan has fought back fearlessly. His parents get constantly asked how they do it, how can they watch their 3-year-old fight for his life daily and not just completely fall apart? The answer is always simple... Evan is the strongest, sweetest, most determined little boy they have ever met. Seeing him fight so hard while being so happy and brave inspires those around him to want to do the same. If Evan can still shine while enduring everything he’s been through, Brittany and Kraig can be a bright light and support for him as well no matter how hard it is on them emotionally, physically and financially. The Vickers are blessed that most of Evan's extensive medical costs are covered by his insurance, but the long stays in Atlanta are taking a toll. They have tried to budget their travel as best they can, staying at the Ronald McDonald House when possible, but it is not enough. This is where Ride to Give comes in, to help ease the financial burden of these bi-monthly trips to Atlanta for Evan to finish his immunotherapy. We are raising the funds needed for Evan to finish out the next 3 months of itreatment in Atlanta, offering Brittany and Kraig much needed financial peace of mind by covering gas, meals, and a hotel when needed. There are also additional trips for clinic visits to check his blood counts, emergency admissions when he becomes sick, and visits to specialists. Because of the severity of his cancer and the maintenance of his congenital heart issues, Evan's condition has become too complex for local doctors so he is sent to Atlanta for literally everything. The funds we raise will allow the Vickers to exhale and be more emotionally available to Evan and his little brother Kash. 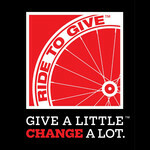 Please help support Evan's medical travel by making a tax-deductible donation to Ride to Give. You may follow Evan's journey by liking his Facebook page Fight Like Evan.